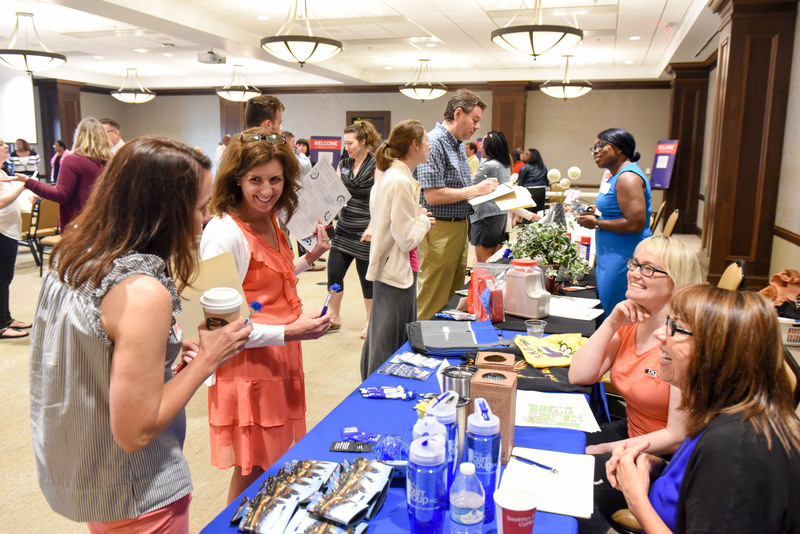 Belmont hosted its Coffee Connection Supplier Fair on Thursday, June 1, as part of the university’s newly expanded Supplier Diversity Program. Created two years ago to increase the number of minority suppliers the University hires, the pilot program included only a few select departments across campus. Recently, the program has been expanded campus-wide and includes minority- and women-owned businesses. The Coffee Connection exists to allow minority suppliers and Belmont managers the opportunity to engage with each other and discuss opportunities for work in the upcoming fiscal year. Nearly 100 people participated in the event as suppliers from the maintenance services, telecommunications, printing and materials, marketing and catering industries, among others, attended. The event began with a presentation by the Supplier Diversity team and included opportunities for attendees to hear from the pilot program’s participants. Belmont suppliers Karen Isabel, Dalmation Creative Agency and Richard Friley, InShuttle, shared their experiences during a panel discussion.